What’s funny is that I can read a paperback book faster than I can read one on my Kindle. Less interruptions, I suppose? Less temptations to stop reading and check email or check Facebook every other minute. Oh, look! A new pic of a bird on Pinterest. Cute little birdie! I’m gonna pin that. It felt good. 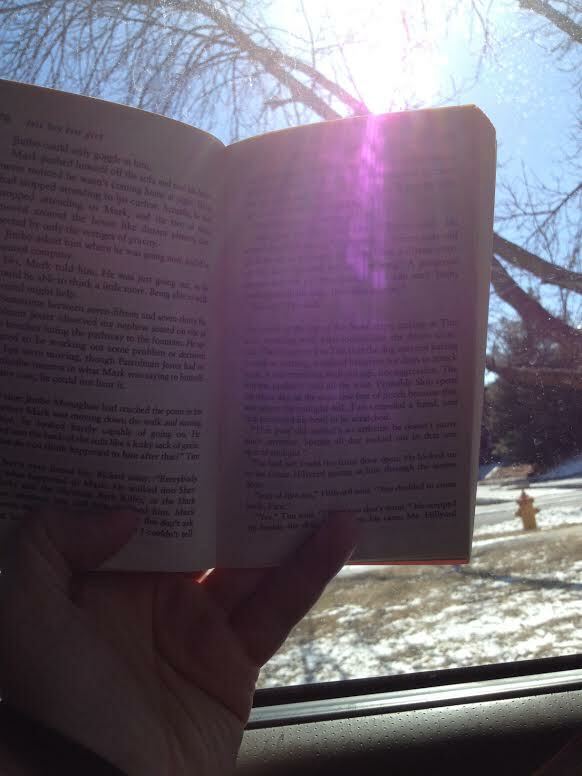 In fact, my favorite time to read is on my lunch break. I have a tendency to not even leave the building. But the past two weeks, I made myself leave to go read. I just sat in the car with no radio on and read for a full hour. Sure, it was cold out. But yesterday with the sun shining, it was nice and warm in my car. And quiet. No interruptions. Just an occasional bird flying by was the only distraction. I think I want to read another. Do you still read paperback books? Do you prefer reading on a device? What are you reading right now?